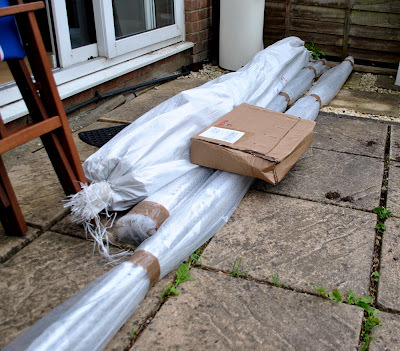 There was also a second package, this was a bit unexpected as I'd kind of forgotten I'd ordered anything else in the excitement surrounding the fruit cage. 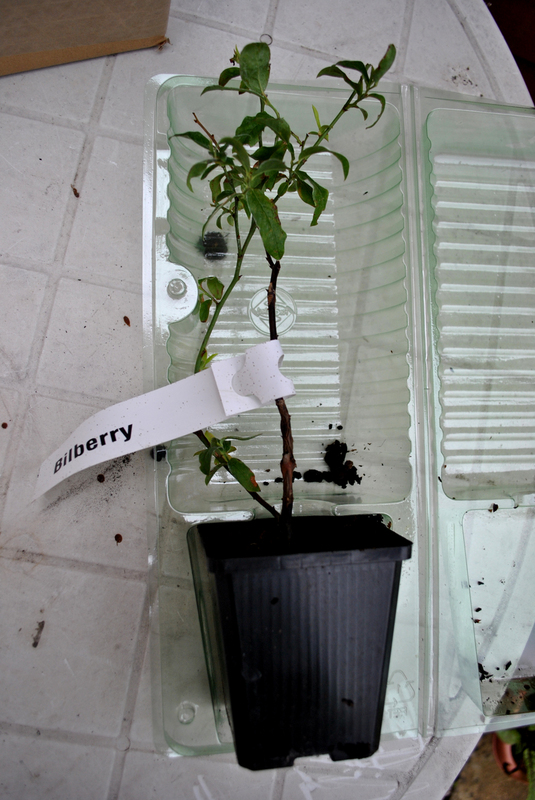 It ended up being a selection of brasica plants and a Bilberry bush I'd ordered a few weeks ago. Perfect timing on the bush front, a bit less so for the brasicas as I don't quite have room for them at the moment and other jobs planned for the weekend. So, I quickly potted them up into something they'll be happy in till next week when I can get them in the ground. 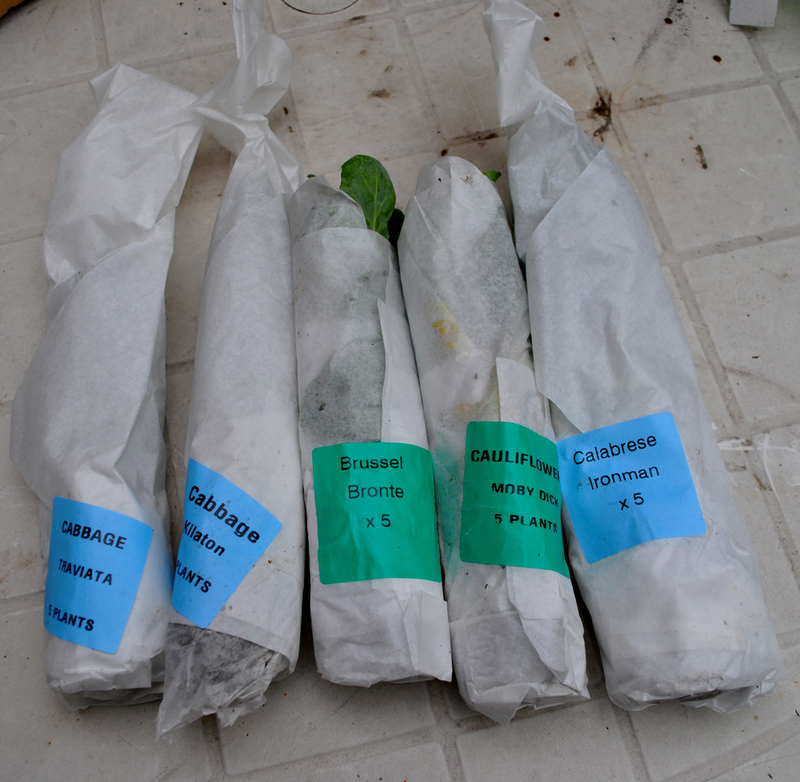 I had a plant package yesterday too - must go pot them up soon. Exciting. I'll keep my fingers crossed for fine weather for the weekend for you, well for me as well, I've got loads of jobs to do on the allotment.